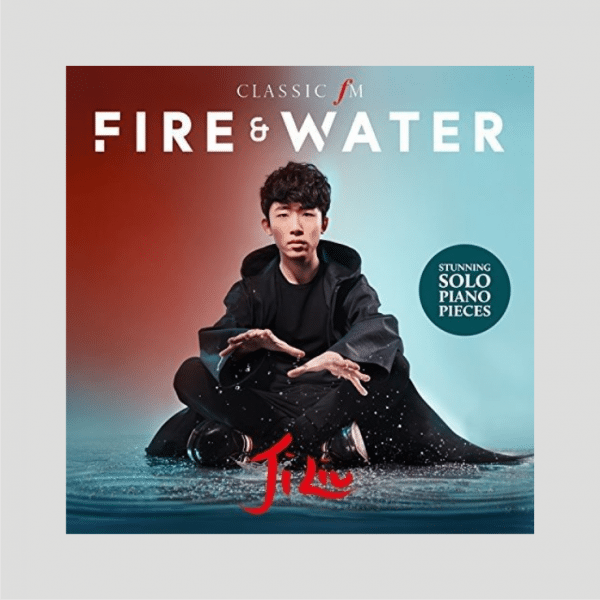 In this stunning collection of solo piano pieces, Ji Liu draws on the ancient Chinese five-element theory of Wu-Xing to beautifully illustrate fire and water. Enjoy soothing and mellow sounds that brilliantly reflect the calming character of water, alongside contrasting intense and fast-paced pieces inspired by the element of fire. Featuring widely known tracks such as Einaudi’s Le Onde and The Swan by Saint-Saens, as well as brand new arrangements by Ji Liu such as Xinghai’s Ode to The Yellow River, this body of work is undoubtedly an exploration of keyboard virtuosity and the colourful world of sound. Ji Liu has been described as a ‘wunderkind pianist’ by The Guardian and ‘a major talent’ by ClassicalSource.com, positioning himself as one of the brightest new stars in classical music. In 2014, Ji Liu’s debut album Piano Reflections stormed the UK classical charts, reaching number one and making him the UK’s biggest-selling classical breakthrough artist of the year. Following this success, Ji Liu went on to release two more albums, Piano Encores and Pure Chopin. In 2016, Pure Chopin was nominated as one of the 20 best classical albums of the year by Classic FM.